Some of you might have noticed that I haven't been around lately but I promise...I have a good excuse. :))) I had another baby! 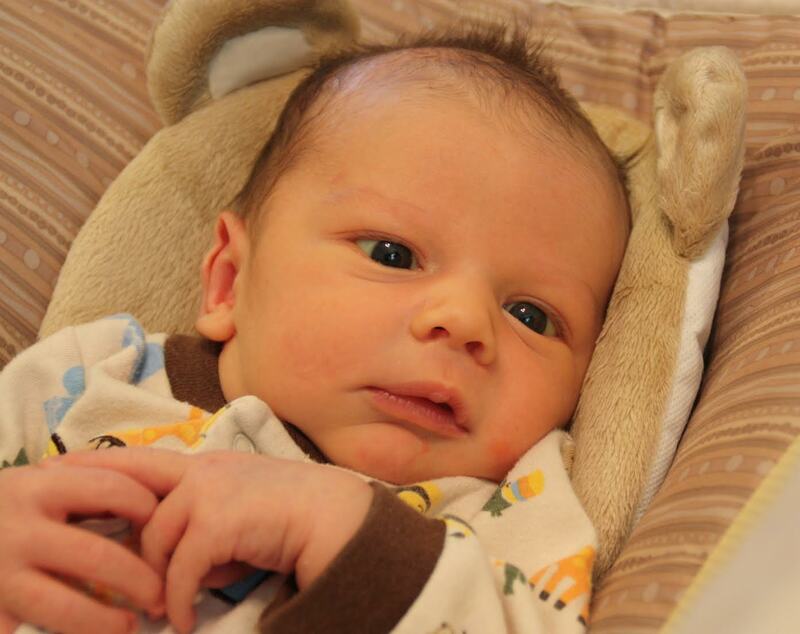 Meet Benjamin...he is my fifth baby and he was born on February 13th. When I found out I was expecting, I was battling a massive sinus infection that took well over a month to clear up. Then, the morning sickness hit and I was down and out. I felt like doing nothing. I truly TRULY wanted to blog but it was all I could do to function on a day to day basis. I wasn't throwing up, just felt awful and my energy was non-existent. I was that way pretty much up until my baby was born so I dropped off the blogging scene for awhile, in hopes of getting back at it soon. Well, Mr. Benjamin is 6 weeks old and we are finally settling into a new normal around here so hopefully, I will be able to share more posts on a more frequent basis. Probably not as many as before but I do want to start reviewing more now that I am back to life as usual. Congratulations on the latest addition to your family! He's gorgeous!